自訂化 Windows 10 適合您的需求。 移動 Power User 功能表 (Win + X) 到滑鼠位置、隱藏 Windows 鎖定畫面和更多! Try DisplayFusion right now completely free for 30 days! After 30 days you can continue to use the free version forever. "Our business is supplying customers with high quality multi-screen computers, stands and screens, we are experts in multi-screen computing and I can 100% say that DisplayFusion is the best multi-monitor software available, anywhere. Having used everything else on the market only DisplayFusion meets our high requirements, it is rock solid stable, easy to use, genuinely useful in many different ways, and has a technical development and support team that is unmatched. I can’t recommend it enough and myself and our customers enjoy the benefits of DisplayFusion every single day." "Click the "European Motion Picture Association" link below for a very thorough video walkthrough and review of DisplayFusion!" "I've had a multi monitor system for about 2.5 years and it is thanks to Display Fusion that I have been able to benefit with their software to have a working model for three monitors. Honestly. whether gaming, a business or, just someone who requires three monitors for home use, this, is the software to beat all other software and moreover they are blessed with an expert support service. Keith is friendly, professional, a genius I think and will go an extra mile to help." "I have been trialing DisplayFusion software all week. In addition, I have been trialing similar applications from other manufacturers. I have a very large 4K monitor (which replaced my no longer usable multiple monitors) and wanted to split the screens a specific way for maximum productivity. In my business, it is imperative for me to be able to switch between applications, resize the windows, and have them configured in a very specific way. I usually have about 10 windows open at any given time and require very combinations that allow me to work efficiently between them. DisplayFusion most certainly meets my needs. In all honesty, all other software I trialed (and there were a number) paled by comparison to what DisplayFusion offers. 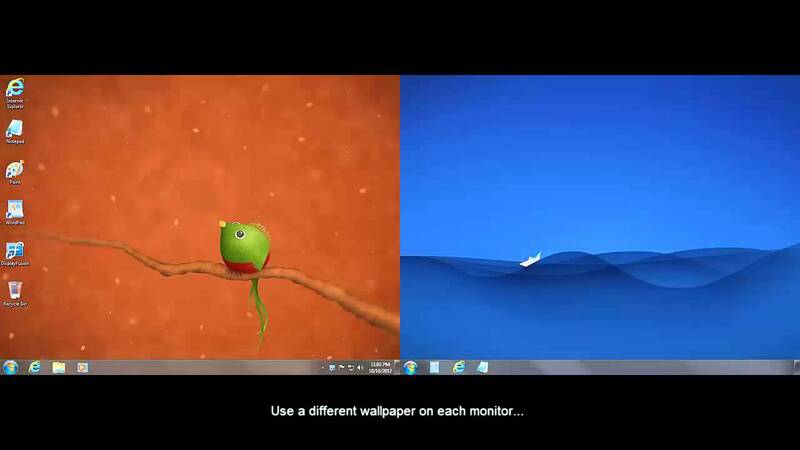 Most similar software was specifically for multiple monitors, but yours includes amazing options for single monitors as well, saving of configurations and much more. Thank you so much for giving me a boost in my productivity. And thank you for your constant support and updates of this amazing software. I look forward to being a lifelong customer." We're excited to announce that we've added a new API endpoint (setDeviceTemplate) for changing the template on devices. TrayStatus 4.0 Beta 1 Now Available! We're very excited to announce that TrayStatus 4.0 Beta 1 is now available for download! This beta fixes a bunch of issues and adds a couple of new features. We're excited to announce that we've added a new "live preview" feature for previewing device configurations. Using this, you can see exactly how every screen and frame will look on the device itself.